Successfully Added 10.1-Inch TFT LCD Monitor - 1280x800p, HDMI, VGA, AV, USB, BNC, IPS Display, Built-In Speakers to your Shopping Cart. This ultra-thin 10.1-Inch TFT LCD monitor can be used for both in-home and in-car entertainment purposes. It comes with HDMI, VGA, AV, USB and BNC support. This brings along great usability as it allows you to use it with a wide range of media sources. It can be used for in-car entertainment or as a great parking aid when hooked up with your rearview car camera. Additionally, you can use it to upgrade your home security by connecting it to your DVR system. No matter its purpose, this 10.1-Inch TFT LCD display is sure to meet your personal demands. This cool electronic gadget comes with a bracket that allows you to easily attach it to the wall or dashboard. When used as a media player, this wide-screen display allows your passengers to watch their favorite movies throughout the trip. From now on, your kids will never have to feel bored again while waiting to reach the upcoming destination. This makes long car journeys more fun and enjoyable for the little ones and adults alike. The display features a 16:9 aspect ratio and 1280x800p resolution. Thanks to this, your kids will be able to enjoy their movies and series to the absolute most. By supporting the latest IPS technology, this car display provides stunning colors. No matter your viewing angle, you’ll always be able to enjoy crisp detail. It is powered either by its regular power adapter or straight through the car engine. Like this, your display will never run out of juice in the middle of a movie. This stunning 10.1-Inch TFT LCD car monitor furthermore features two built-in 1W speakers that produce great audio. Therefore, you’ll always be able to enjoy your films including sound without needing any headphones or external speakers. This car gadget is easy to install and sure to bring along countless hours of fun and entertainment. 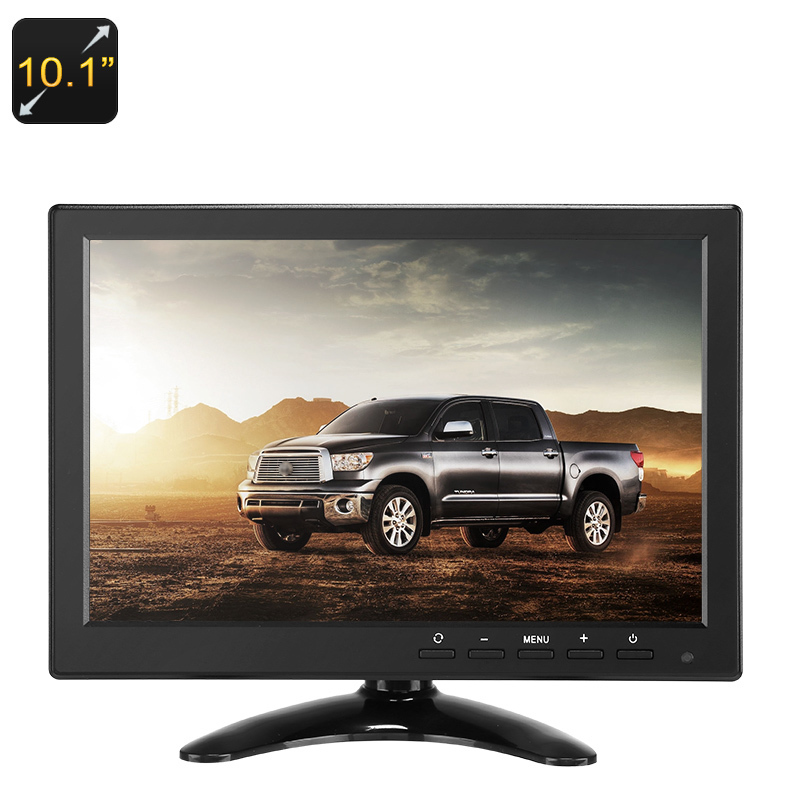 This TFT LCD monitor comes with a 12 months warranty, brought to you by the leader in electronic devices as well as wholesale electronic gadgets..